ACCESS Allegany Schedules - Ardent Solutions, Inc.
To better accommodate our riders, ACCESS Allegany works hard to create a schedule that provides access to businesses, health care facilities, educational institutions, senior centers, shopping centers, and work sites across our community. Developed as Service Areas, routes connect at various hubs for convenient and timely no-cost transfers. 1. Verify that you have the most up-to-date ACCESS Allegany Schedule by checking the publication date. 2. First, determine which Service Area or Areas you will be traveling within. Each bus time schedule highlights a specific fixed route. For example, Service Area 1 frequents the townships of Belmont, Scio, Wellsville and Stannards. 3. Then, look at the top of each bus time schedule to determine your direction of travel. For example, if you are travel from Wellsville to Belmont, look to see which schedule in Service Area 1 meets your northbound travel plans; "Going Towards: Belmont from Wellsville." Path of travel is also demonstrated on each bus time schedule as a map. 4. Next, consider reading along the left side of the bus time schedule to find your closest bus stop and particular bus destination. This will help you know the order in which the bus will arrive at these stops. 5. Across from each of the stops printed on the bus time schedule, you should be able to see a time when the bus is supposed to arrive at that particular stop. The times listed at the stops is an approximate time. Buses may be later due to road construction, hazardous weather conditions or other unforeseen circumstances. If you are concerned about your buses arrival or departure time, contact the ACCESS Allegany Call Center at 585-593-1738 to confirm timing. 6. Now consider reading the time schedule vertically. This will help you find out how long it will take for the bus to get from one stop to another. By doing this, you can also determine the time the bus takes to complete its route. 7. Looking across the bus time plans will help you figure out how often buses come at a particular stop. Buses arrive at some stops more frequently in the day time. According to research, the buses tend to hit their peak times during the afternoon as people are looking to go for lunch. 8. By doing some basic math, you can easily determine how often buses reach a particular stop on the route. For instance, if you missed the bus you wanted to take you can read through this information to catch the next bus. Actually, understanding how many times a bus may reach any stop on the bus route is probably the most powerful information you will need to get to the stop on time. 9. If you need to transfer from one Service Area to another to reach your final destination, helpful tips are located on each schedule indicating transfer opportunities. Be sure to let your bus operator know that you will be transferring so he/she may radio the next driver and provide you with a no-cost transfer pass. Still have questions? Attend a ACCESS Allegany Public Transit Orientation session to learn more about reading the schedule and planning your next trip. 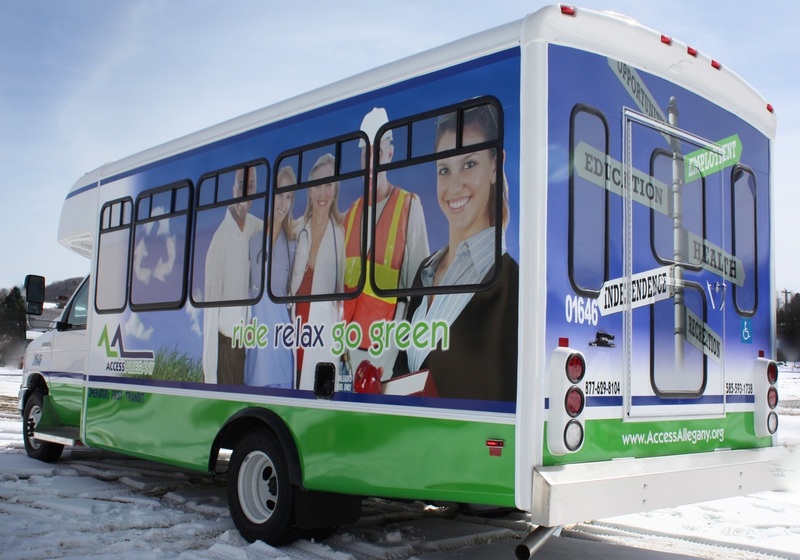 ACCESS Allegany strives to collaborate with neighboring transit systems to create a seamless transportation option across the southern tier. 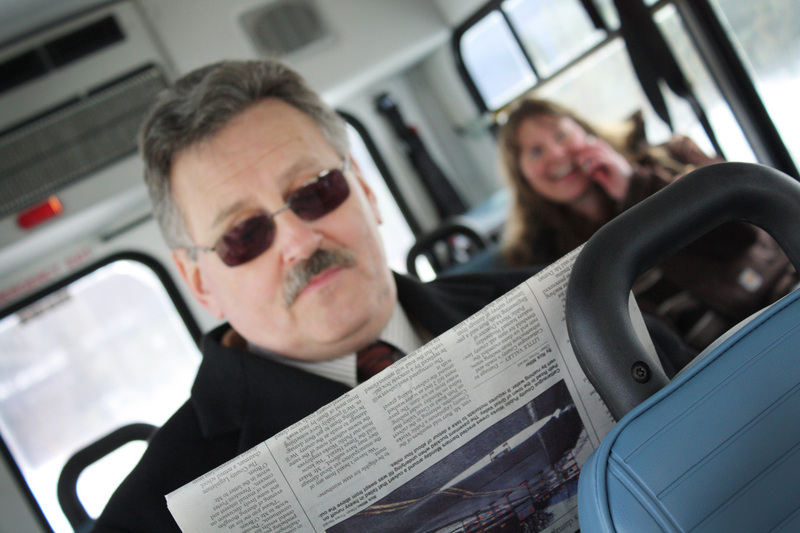 Transfers to Hornell Area Transit and Olean Area Transit allow riders to travel from Bath to Salamanca for work, recreation, healthcare services, and much more. Agreements for no-cost transfers provide low-cost options across all three public transit systems. Coach USA owns over 20 local companies in North America that operate scheduled bus routes, motor coach tours, charters, and city sightseeing tours. They cover three geographic areas: the North East and North Central regions of the United States, and Canada. These local companies are each independently managed and operated to meet the specific needs of their local communities. Coach USA has bus stops in Alfred, Alfred-Almond, Belmont and Black Creek servicing all areas across New York State. Need help accessing a Coach USA bus stops, connect with ACCESS Allegany.